Seniors have specific needs when it comes to choosing the perfect cell phone for them. To help seniors maximize the use of their modern cell phones, the following are features to keep an eye out for when buying cell phones for the elderly. If are interested, we have listed examples of the Best Cell Phones for Seniors further in this review. As we age, our vision tends towards becoming sharp. For Flip phones, the display should have large sized fonts with good contrast. If there is a setting to adjust the font and icon size, it is even better. For smartphones, it is advisable to choose a phone that has preferably a five-inch or larger screen display and high resolution for sharpness (720 by 1280 px or better). This makes it easier for seniors to easily see what’s on the screen of their phone. The text size and icon size on the phone should be already large or customizable to display larger sizes. Having this feature will help seniors read incoming texts as well as compose messages as needed. The same goes with icons. Having large icons will help them see and use the different apps and important functions of the cell phone. For Android and iPhone smartphone users, this is a feature available through their phone settings. When it comes to screen colors, look for a phone with high contrast screen colors. High contrast colors will make it easier for the elderly to distinguish icons, texts, and images. It is also important to choose a phone that has large buttons. In case of touch screen phones, the buttons should be customizable to allow a larger keypad display. Long presses should also be set to the minimum press time so it will not strain a senior’s fingers. On the other hand, in phones with mechanical keyboards, it is important that the keypad is soft and easy to press. Along with lowered vision, our hearing may no longer be as sharp as we age. Most seniors can benefit from cell phones that have a powerful speaker. Not only should it be able to play sounds loudly, it should also have durable speakers. Easy adjustment of sound levels is also important. A sound rocker volume button on one side of the cell phone can make it easier for the senior to adjust the phone’s volume depending on the situation or sound environment. It is also better if sound alert volumes are customizable depending on the importance of the activity associated with the sound. For example, a cell phone may allow for louder volume notifications for ring tones and text messages compared to application notification alerts. It is also necessary for some seniors that their phones are hearing aid-compatible. Fortunately, most cell phones are hearing aid compatible. It is also helpful if a senior’s cell phone has voice recognition. With just a touch of a button, he can easily start GPS navigation, send an important text, or go to a particular phone application. The senior can bypass looking for and tapping buttons. A senior’s cell phone’s size and form is another factor to consider. It should be large enough that the senior customer likes it. It becomes easy to carry and use. Some seniors prefer having a flip phone rather than a smartphone because it is easier to carry around. Others prefer a smartphone for their looks, social apps and what they can do. There is really no standard size or style for senior cell phones. It really depends on the senior end-user. You can check out some of the Best Cell Phones for Seniors here below. Regardless of the type and size of phone, it would be helpful to get a durable cell phone in case it gets dropped a couple times. Once we are used to a phone, we want to stick with it as long as possible. This is true for a lot of seniors and many who are younger. It is also better if the phone has extra layers of protection like a case and tempered glass screen inserts. Phones should be easy to navigate around. This is why you should look for simplified features in a cell phone for seniors. It should not be too complicated to navigate to important functions and applications in the phone. For example, composing a message should not take more than two to three steps. Anything more than that makes the task too complex for seniors. Another undervalued senior cell phone feature is the ease of adding of and looking for contacts. Most seniors just simply add names and numbers of contacts so there should not be too many unnecessary steps like addition of secondary numbers or linking of email or social media profile. In finding contact names, an easy search feature is necessary. The cell phone should also allow for speed dialing or bookmarking of important contacts. This allows seniors to make phone calls or send text messages faster especially during medical emergencies. One of the best cell phone choices for seniors is the GreatCall Jitterbug Flip. This cell phone features big mechanical buttons that are convenient for dialing. It also has a bright colored display that does not strain a senior’s eyes that much. 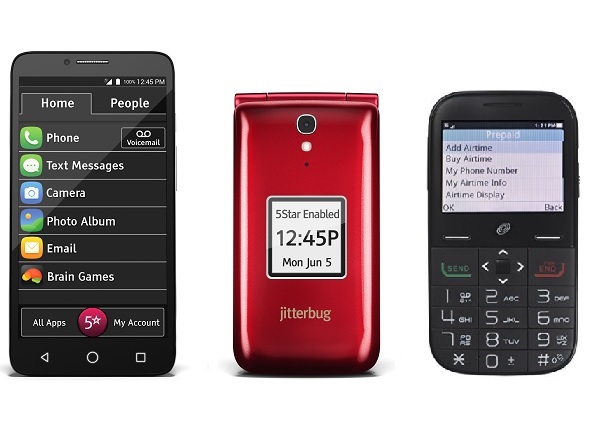 Click Here to Shop Jitterbug Phones and Plans on their Official Website. 10% OFF with promo codes Smart10 (for smartphone) and Flip10 (for flip phone). 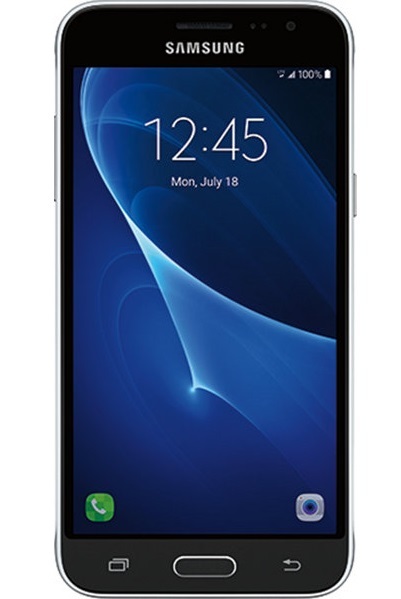 Check detailed phone specifications and coverage map. One unique feature of this phone is the one-touch 5-star button. When pressed during an emergency, this button connects a senior automatically to a designated contact so help can be sent immediately. To learn more about the Jitterbug Flip, check out our full review here. 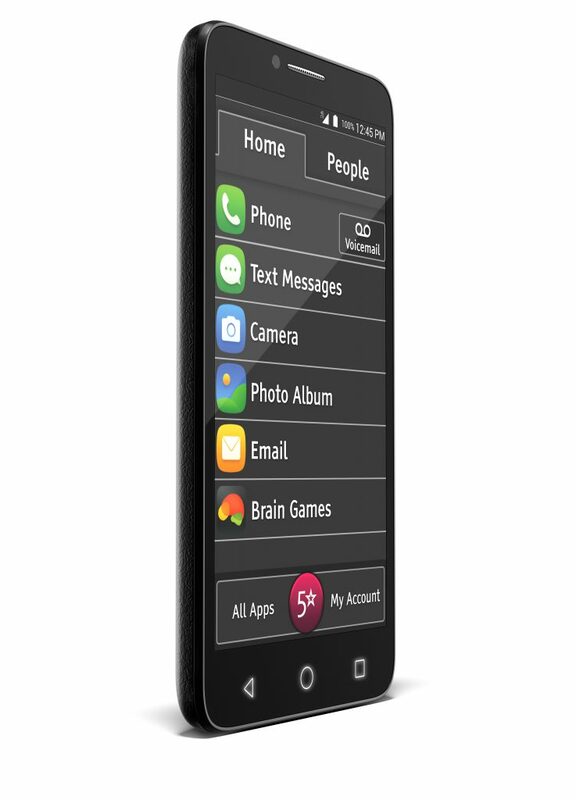 Another good cell phone for seniors is the GreatCall Jitterbug Smart. Although it has a modern look, it is especially designed for seniors because it has minimalistic and simplified features. It comes with a 5.5-inch display screen so a senior can see texts easily. Additionally, icons are large and are organized in a single list so navigation is easier. 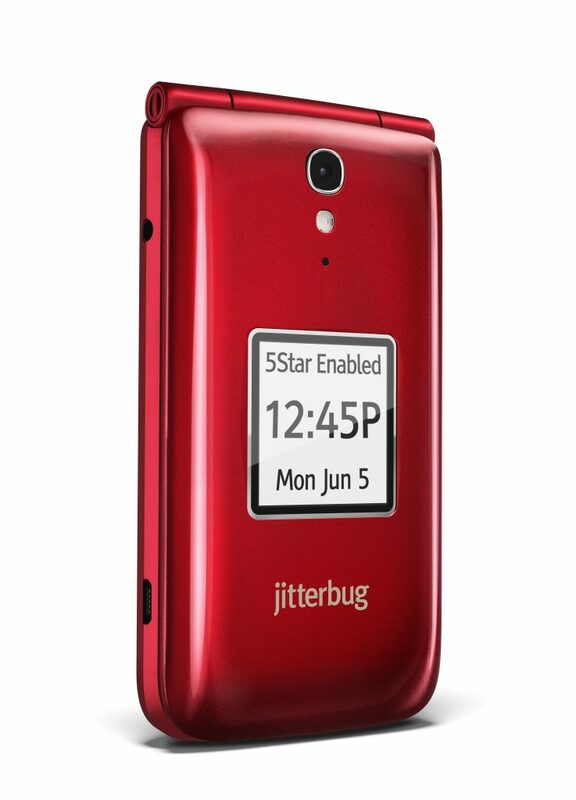 Learn more in our Jitterbug Smart review. 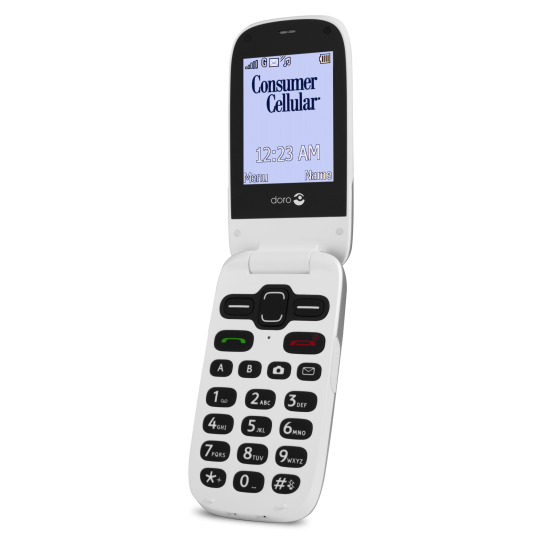 The Doro PhoneEasy626 is a popular clamshell style cell phone for elderly users. The black and raised buttons laid out over a white background improves color contrast. This configuration makes seeing buttons and dialing them easier. Additionally, like the Jitterbug Flip, it also features an emergency help button that alerts chosen contacts. It also has functional GPS support so when a call is made to emergency services, the exact location of the senior can easily be pinpointed. 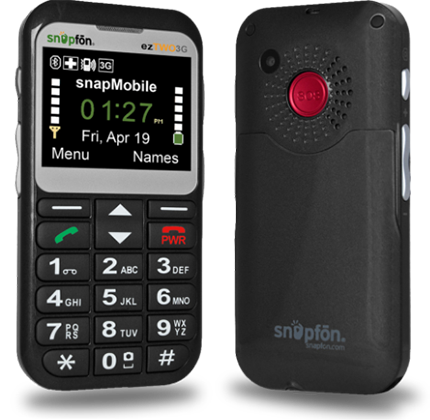 Lastly, the Snapfon ezTWO is also a good option when it comes to cell phones for seniors. This phone has a speaking keyboard and a text-to-speech function. The SOS Alert button at the back of the phone can also be pressed to send emergency texts to loved ones and monitoring services. Some of these phones like the Jitterbug are meant to work with cell phone plans provided by their companies. Another way to shop for a good senior cell phone is to just decide on a provider that has the best plans and then shop for a phone that works with those plans. If you like to shop for a good plan, we have a Senior Cell Phone Plans guide on this site. Having seniors accustomed to modern technology may seem difficult at first. However, with the right features, they too can enjoy the benefits of having and using a modern cell phone. It keeps them connected to family and friends, and it can provide them with entertainment. Likewise, it can provide them with a valuable tool to use in case of emergencies.